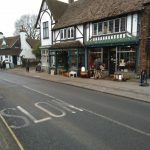 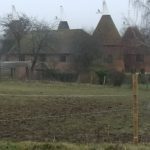 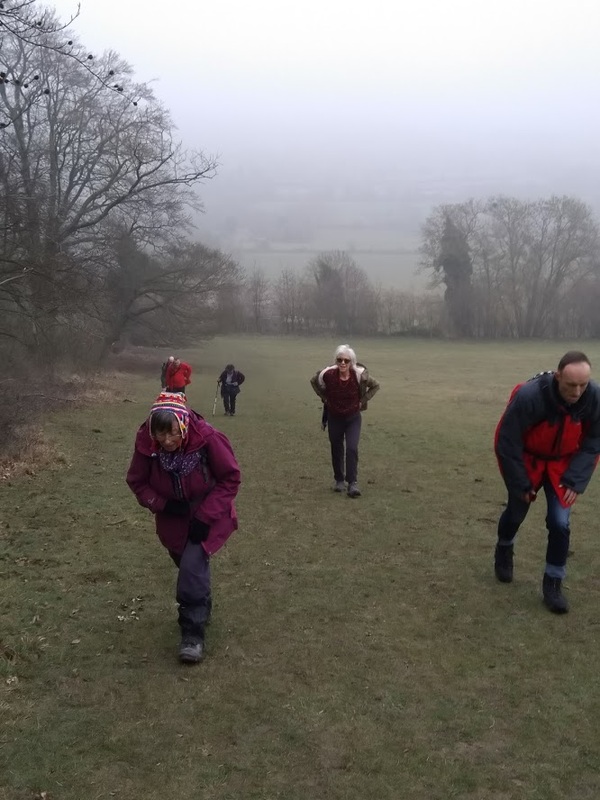 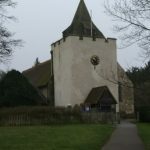 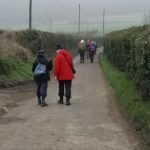 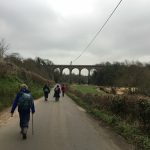 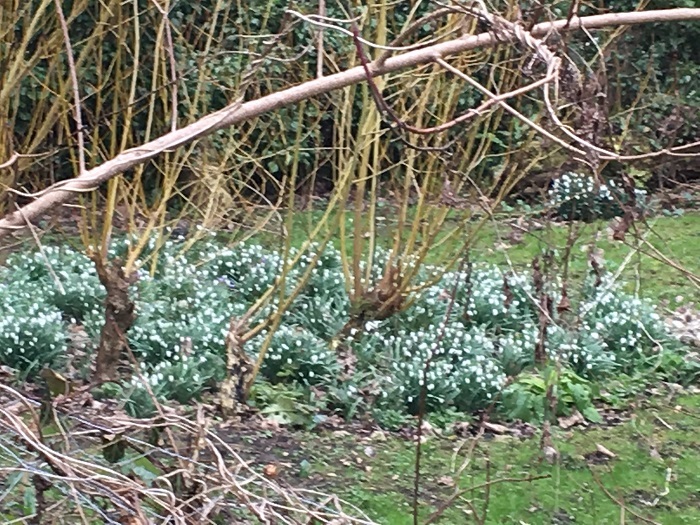 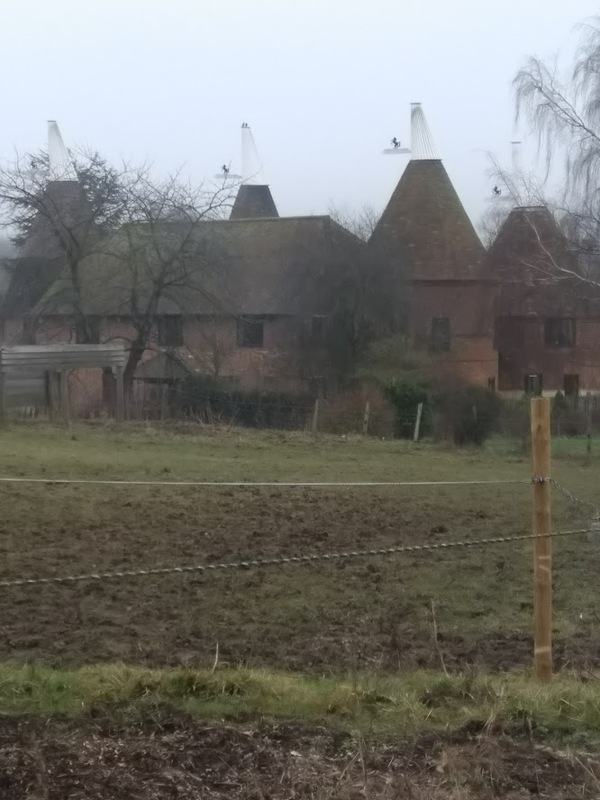 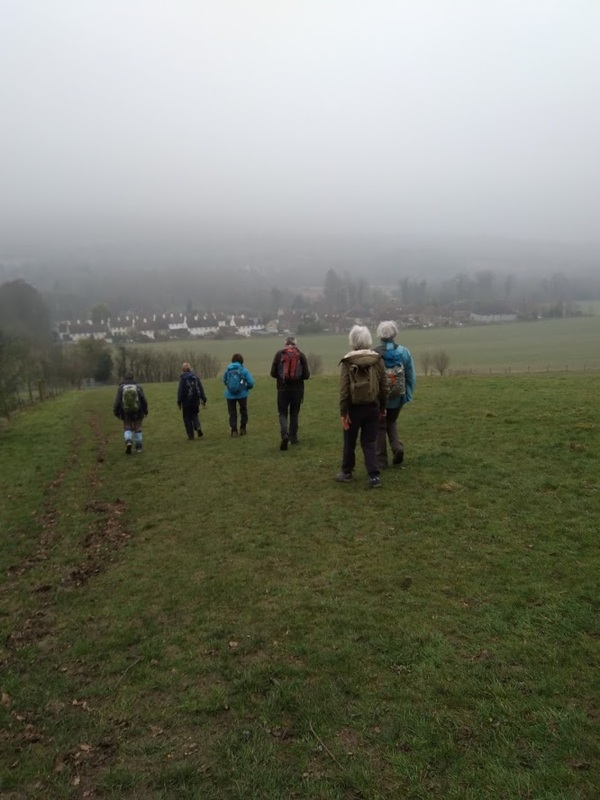 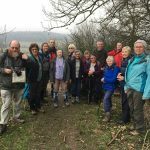 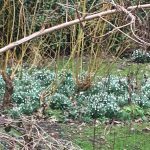 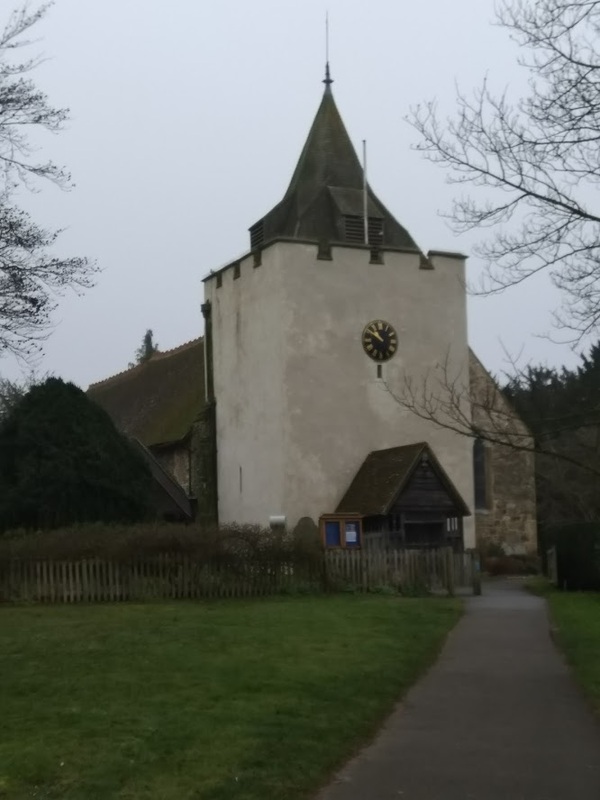 It was a mild but grey and misty day when 14 Polyramblers set out from the train station in the small quaint Kent town of Otford. 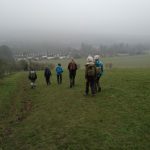 The sun didn’t show its face all day and the low cloud meant the normally spectacular views of the Darent Valley were covered in mist but at least it stayed dry. 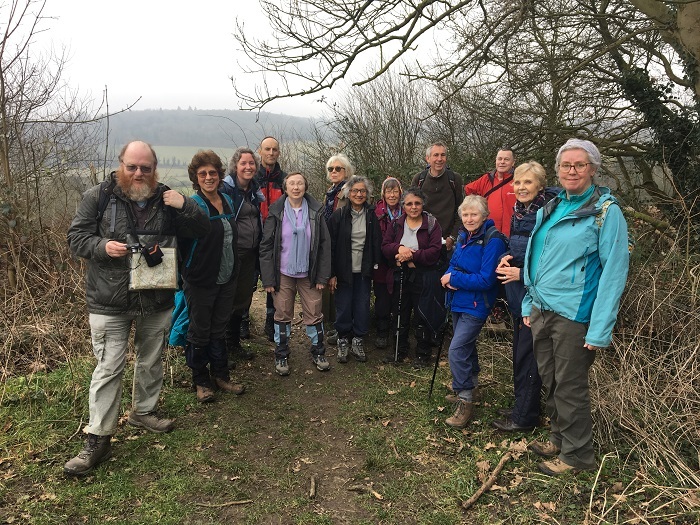 The walk out of Otford took us across flat and muddy fields until we reached a short but steep hill. 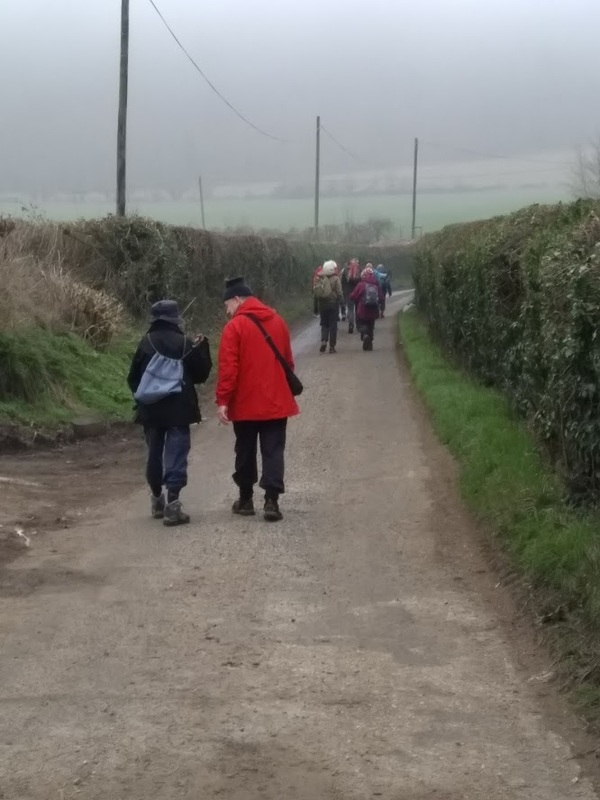 Our climb would normally have been rewarded with a stunning view but it was not to be today because of the low lying cloud and mist. 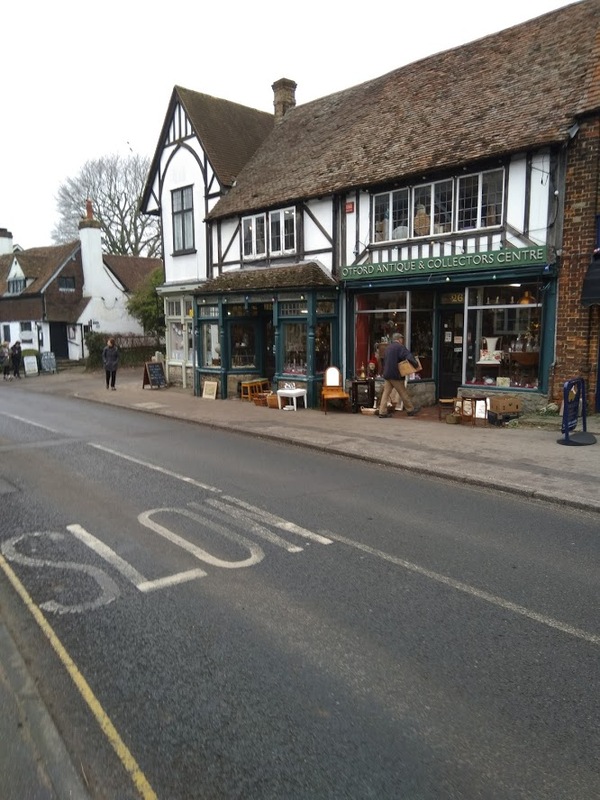 A steep downward slippery chalky path which we negotiated carefully then took us down into the picturesque village of Shoreham where we had an excellent lunch at the charmingly old fashioned and cosy pub (complete with a coal fire! 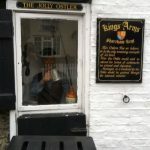 ), the Kings Arms. 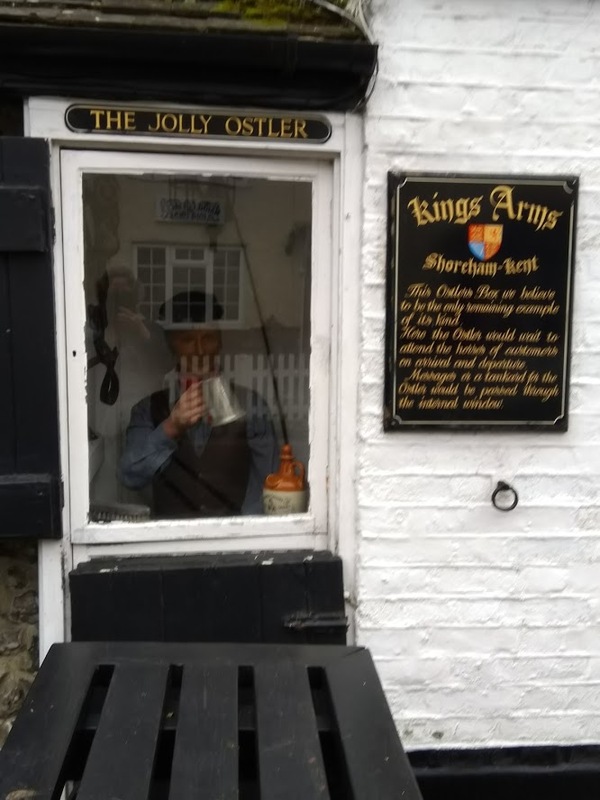 We added a new word to our vocabulairies, an ‘Ostler’, as a wax model, set into the wall of the pub, of a man who used to collect money for looking after pub goer’s horses, was a reminder of the centuries of history of the pub. 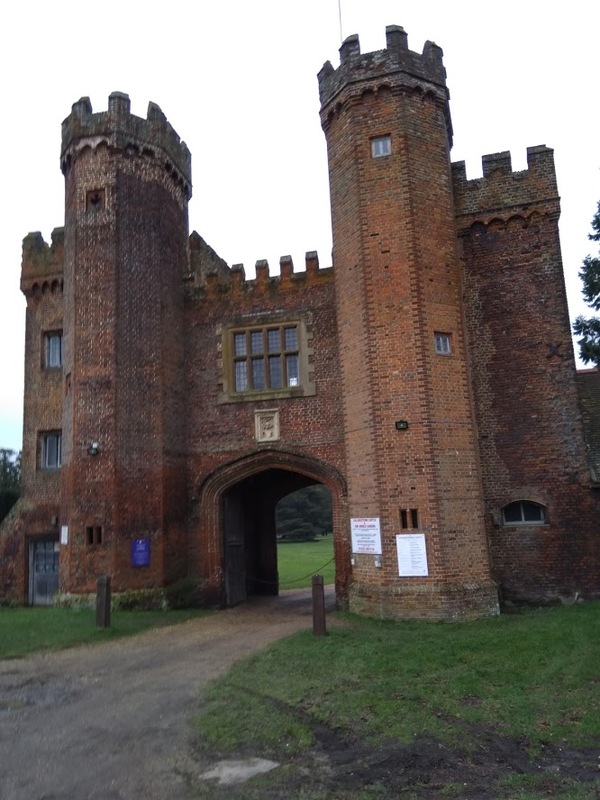 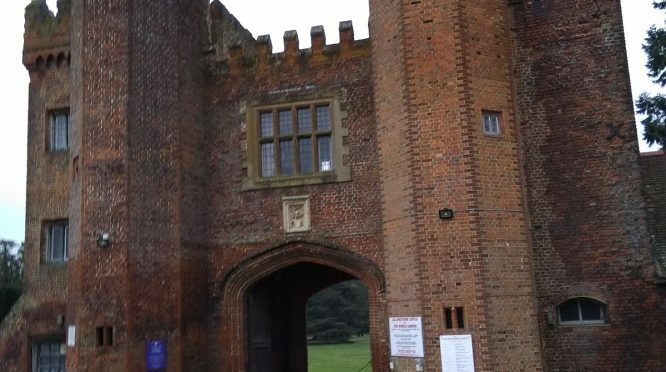 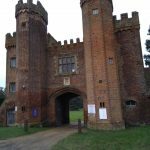 The afternoon walk took us through a wide variety of different scenery, from a riverside path, to another short steep hill, woodland, and a country lane that led us passed the 16th century Lullingstone Castle supposedly frequented by Henry VIII and Anne Boleyn and the remains of a Roman Villa, now a museum. 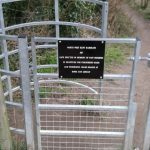 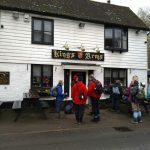 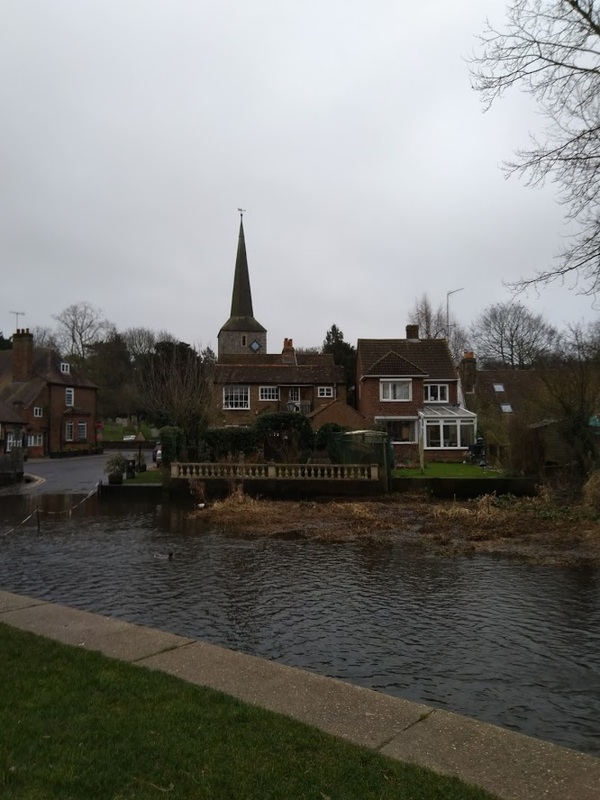 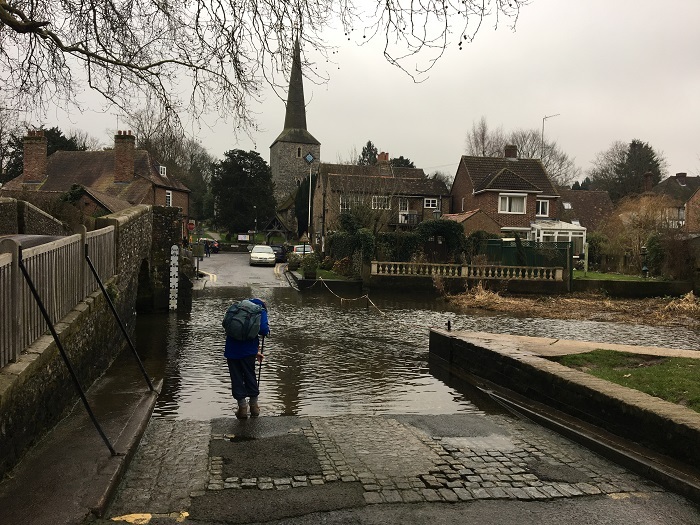 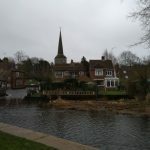 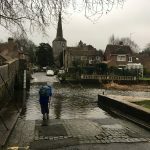 The walk into Eynsford village brought us to a charming pack horse bridge and a ford over the river Darenth. 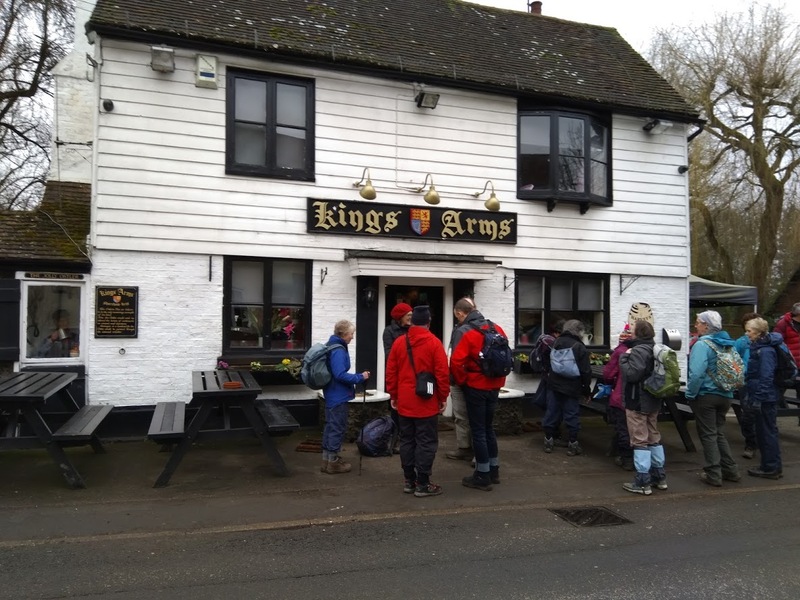 Some of us had hoped to finish up the walk with tea and cake but sadly this was not to be as we had arrived just as the café was closing. 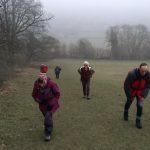 This was however, probably better for our waistlines. 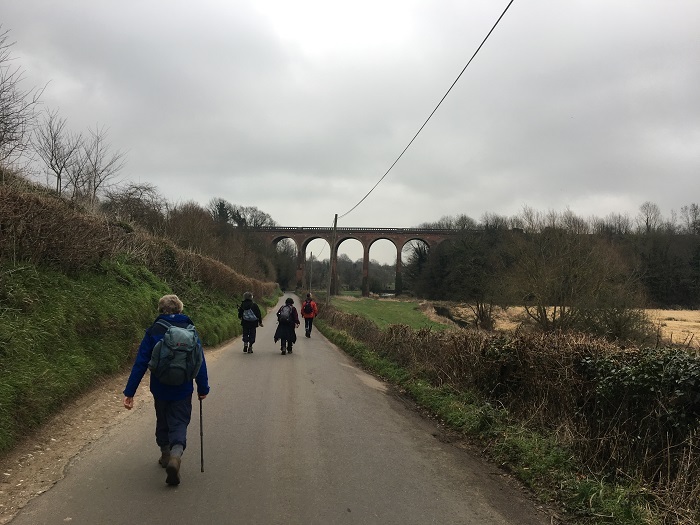 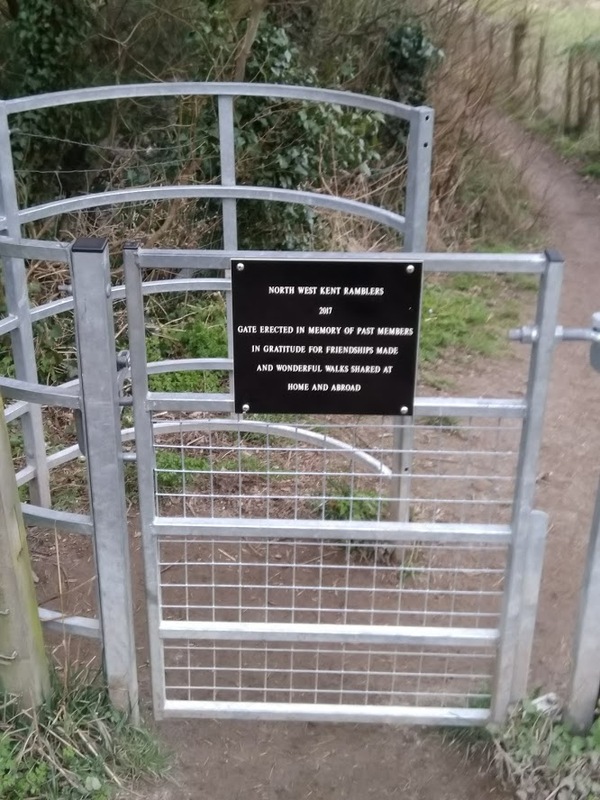 So we hot footed it up a hill to Eynsford station where, we rejoined the remainder of the party and caught the train with only minutes to spare.